← WHERE ARE THE MANDELA’S? 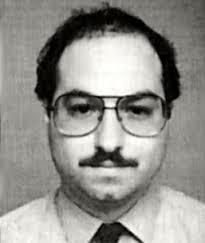 In November 1985, a short, bespectacled Navy civilian researcher, with a history of erratic behavior and drug use, was stopped by FBI agents on his way home from work. Allowed to call his wife, he uttered the word “cactus.” After the call, his wife removed a suitcase from their apartment and called some Israeli acquaintances. The researcher was Jonathan Pollard. The Israelis were his handlers. The suitcase was filled with intelligence materials, which Pollard had surreptitiously removed from his office. The materials represented a small portion of the paper pile Pollard had stolen and provided to the Israelis over the previous 18 months. In total, the purloined documents could fill a space 10 feet by 6 feet by 6 feet – almost as large as the prison cell Pollard was destined to occupy for the next 28 years. The government violated the spirit – though not the letter – of each promise. Instead of citing Pollard’s cooperation, the government provided the judge with a memorandum detailing the harm caused by Pollard’s breach of security. Buried deep within the memorandum were the words “of considerable value,” in reference to Pollard’s cooperation, allowing the government to claim at least technical compliance with its agreement. Instead of limiting its allocution to the facts of the case, the government referred to Pollard’s “arrogance and deception,” and described him as “unworthy of trust” and “contemptuous.” Instead of seeking a “sentence of substantial period of incarceration,” the government’s memorandum effectually sought the maximum punishment allowed: life imprisonment. It presented a memorandum from Secretary of Defense Caspar Weinberger stating “it is difficult for me … to conceive of a greater harm to national security than that caused by [Pollard].” Weinberger described Pollard’s conduct as “treason,” a capital offense. Despite his plea bargain, Pollard was sentenced to life imprisonment – the maximum punishment he could have received had he chosen to contest the charge. Pollard is now in his 28th year of imprisonment. There has never been any question of Pollard’s guilt in spying on his country on behalf of a foreign nation. But the documents released by Edward Snowden, former National Security Agency contractor, reveal that the United States has a long history of doing the same thing: spying on its allies. Moreover, it has just come to light that the United States went even farther in collecting information about Israel. The documents show that American spying involved monitoring the email traffic of former Israeli Prime Minister Ehud Olmert and Defense Minister Ehud Barak. That revelation has intensified Israeli sentiment favoring Pollard’s release, a view that has existed for decades, and that spans the political spectrum. Similarly, American politicians, from Barney Frank on the left to Dan Quayle on the right, had called for his release even before the Snowden NSA revelations. In addition to politicians, American foreign policy experts have been lining up over the years in favor of Pollard’s release. Many of the officials in office at the time of the arrest have issued public calls for Pollard’s release, including former secretary of state George Shultz, former national security adviser Robert McFarlane, and William Webster, the only man in history to head both the FBI and the CIA. Former CIA Director James Woolsey has called the prison sentence “excessive” compared with those imposed on others convicted of spying for U.S. allies, including a Greek-American, a Filipino-American, and a Korean-American convicted of spying for South Korea, who received sentences of 4 to 7 years. Few Americans view Pollard as a hero. Despite his protestations that he was motivated by devotion to the Jewish State, the fact is that Pollard was paid for his criminal activity, receiving monthly payments ranging from $1,500 to $2,500 over a twelve-month period. Most of those advocating Pollard’s release in this country consider him guilty, and do not favor pardoning him. Instead, they favor commuting his sentence. There’s a big difference. A pardon presumes and then expunges the defendant’s guilt. The defendant must accept the pardon, and, in so doing, he admits guilt. When Gerald Ford pardoned Richard Nixon, he justified his action, in part, by recognizing that Nixon’s acceptance would be tantamount to a public admission of guilt – something Nixon had hitherto refused to do. Commutation, by contrast, is simply the remission of the power to punish. It ends the imprisonment but it does not expunge guilt, and it does not require the defendant’s acceptance. Even before the publication of the Snowden NSA documents, there were valid reasons for releasing Pollard. The government’s half-hearted (at best) adherence to the plea bargain has always been a troubling issue. It is doubtful Pollard’s lawyers would have ever considered that option if they could have foreseen that the result would be life imprisonment, the same maximum penalty available without a plea bargain. The disproportionality between Pollard’s punishment and those of other spies has also been troubling. As former CIA Director Woolsey noted, the prison sentences for those convicted of spying on the U.S. on behalf of our allies have ranged from 4 to 7 years. Even many of the prison sentences for those convicted of spying on behalf of our enemies have also been more lenient than Pollard’s. Albert Sombolay sold information about U.S. troop movements to Iraq during the first Gulf War. His sentence was 19 years. Clayton Lonetree, a Marine guard at the U.S. embassy in Moscow, sold secrets to the Soviets. He was convicted in 1987, the same year Pollard was. He was sentenced to 30 years, which was later reduced to 15. He was released after serving only nine years. And even before the publication, there was a least a whiff of hypocrisy in Pollard’s treatment. At about the same time Secretary Weinberger was describing Pollard’s conduct as “treason,” the United States was receiving secret materials on Israeli troop movements in Lebanon and the Territories from Yosef Amit, a major in the Israeli intelligence with a history of psychiatric illness. Amit had been recruited by a CIA officer. He was caught, convicted, and sentenced to 12 years in prison. He served 8 years before he was released. Publicity about the Amit case might have helped Pollard’s appeal of his sentence, but, ironically, the Israelis deprived him of that possible advantage. They censored news of Amit’s trial and imprisonment for security reasons. But the publication of the Snowden documents has transformed a whiff of hypocrisy into an overwhelming stench. We now know that our government has spied on Israel and many other allies. While the Israelis used Pollard to gather information on military matters which they considered vital to their security, our government has monitored the personal emails not only of Israel’s Olmert and Barak, but of other friendly foreign leaders as well, such as Germany’s Angela Merkel. The Snowden revelations create a new reason for considering Pollard’s release. Spying today may be more electronic and less human than in the days of Pollard’s crime. But human action is still involved. People must give the orders to monitor email traffic. People must carry out those orders, whether through the voluntary cooperation of internet companies or through the efforts of hackers. If an NSA official, or a cooperative Google, Facebook, or Twitter employee involved in this surveillance, is arrested while traveling in Israel or Germany or France or Spain or Brazil, or some other allied country on whose leaders we have spied, what will our government say? Will it try to minimize the matter by insisting that spying on allies is normal? Will it insist on treating it as a minor matter, to be handled quietly between friends? Surely, the continued confinement of Jonathan Pollard will undermine our government’s credibility if it makes such assertions. And if that NSA official or Google employee had enlisted the help of a local to carry out the surveillance, are we prepared to accept life imprisonment of that local as a cost of doing business? Releasing Pollard now is the right thing to do, notwithstanding the reprehensibility of his actions. Release may be a bitter pill for many in the U.S. intelligence community to swallow. As part of a deal with Prime Minister Netanyahu to advance the peace process, President Clinton planned to release Pollard in 1998. That plan was aborted when CIA Director George Tenet threatened to resign in protest. But the Israelis themselves have swallowed even more bitter pills at the behest of an American President. To advance the current peace process, they acceded to President Obama’s request to release a number of Palestinian prisoners. Last October, Israel released 26, most of whom had been involved in murdering Israeli citizens. Three of the prisoners had murdered senior citizens with axes. None of those released had served as long as Pollard has. Israel survived the release of murderers. The United States will survive the release of Jonathan Pollard. Pollard is a traitor. He stays in jail until he rots. Johnathan Pollard is treasonous scum who sold out his country and betrayed the trust given him. He should have been hanged a long time ago. Strongly reasoned piece. I agree. Pollard is indeed a traitor and a liar. The government may have violated the spirit of the agreement but it was in reaction to pollard ‘ s failure to follow a gag order…provided interviews prior to sentencing for God’s sake!…. as well as a failure to assist in a good faith deconstruct of the damage he had wrought. And unfortunately…because of the pre-1987 30 year rule for federal life sentences….he will be paroled this very year. Betraying ones country is inexcusable. Had he acted without regard for $…it might make a better story….but his guilt would remain the same. Admiral Shapiro summed it up well when he said it made him “mad as hell” to see fellow jews and Jewish orgs. Line up behind this pathetic excuse and robe his base actions in something honorable….because there is nothing honorable to be found in jonathan pollard. Fear not….he will be out soon….and fade away to a heroes welcome in Israel. To the disgrace of that country.